As a parent, watching your kid suffer through a cold is awful. Along with renting favorite movies and building comfortable pillow forts in the living room, use some safe home remedies to help your child feel better and recover faster. Home remedies never replace medical advice, so when you discover that they have an illness you’re not sure about, always take your child to the doctor. For a typical cold, however, parents can do much to help their children. Give your child’s bedroom an extra boost of humidity with a room humidifier. The air from the humidifier will help to loosen mucus at night, keeping it from hardening or congealing and making sleep difficult. Make sure to give your kid a box of tissues to have on the bedside table, to cleanly collect that mucus when it decides to come out. 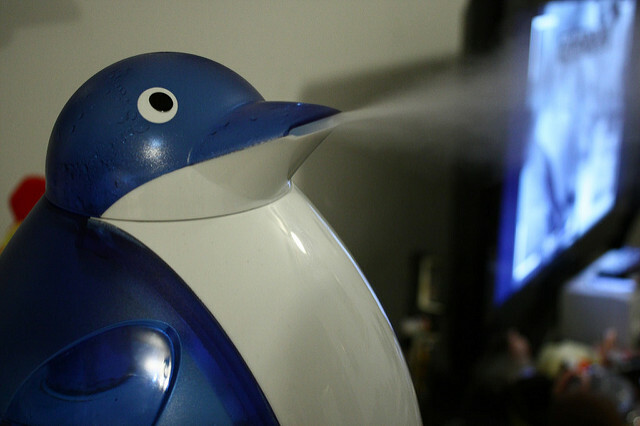 You have a few humidifier options to choose from: warm mist, cool mist, and ultrasonic humidifiers. If you have safety concerns about warm-mist humidifiers, cool mist and ultrasonic humidifiers are good choices. Lying flat makes coughing worse. To help your child breathe at bedtime, elevate your child’s head. Use some folded towels or a folded blanket and slide them beneath the mattress to create a few inches of elevation. An extra pillow works well for older children who don’t move much while they sleep. You don’t want to make the bed high enough that you cause neck or shoulder pain while your child sleeps. Instead, you’re aiming for just enough height to help with breathing issues. Your child may also be more comfortable sleeping in a recliner. Run warm water into the bathtub with your child’s favorite bubble bath. Keep the door closed so that all the steam stays trapped in the bathroom, and don’t run the bathroom fan. The aim here is to build up steam, so that while your child takes a bath, chest and sinus mucus will start to come loose. Stay in the bathroom with your kid and read aloud a favorite story. Stock up on your child’s favorite low-sugar apple juice or chamomile tea and give your kid plenty of fluids heated to a warm temperature. Fluids are essential to recovering from a cold, but you don’t want to give your child too much sugar of the amount you find in soda and energy drinks. Warming apple juice, broth, or chamomile tea will help loosen the mucus in the sinuses and the chest. If your child wants sweeter chamomile tea, use honey instead of granulated sugar. Another important part in recovering from a cold is getting plenty of rest, so keep your child home from school for a day or two if needed. Sick days are the perfect time to read stories out loud, play board games, or have a Netflix or Disney movie marathon. With luck, your home care help will have your child feeling better again soon. Disclaimer: This is a collaborative guest post. Next Next post: Center Parcs – What’s All The Fuss About?